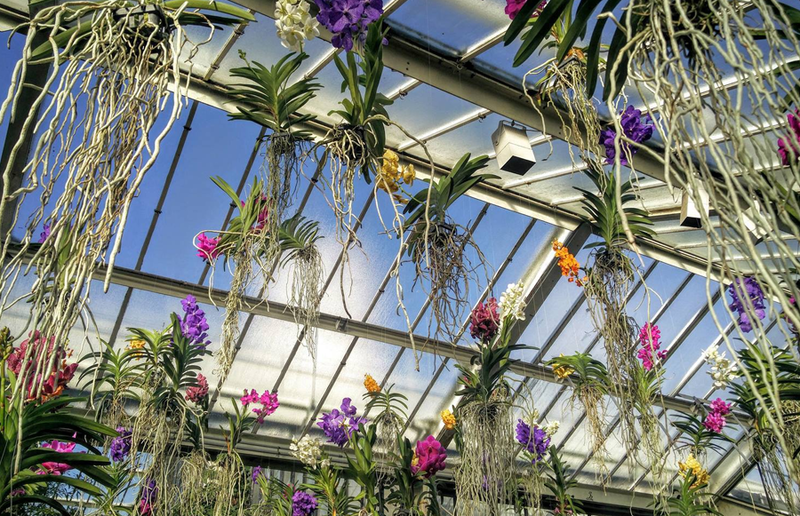 Kew Gardens Orchid Festival is back, and it’s bigger than ever. With orchids in full bloom the London beauty spot has been transformed for a new celebration of the exotic Indian flower, as well as the country’s culture. This year’s pond display will explode with intense hues in a larger-than-life floral arrangement made up of Vanda, Dendrobium, Cymbidium and Paphiopedilum orchids, marrying traditional and modern culture. The Festival will run in Kew Gardens until 5th March, so there’s over a month to visit. Alongside a spectacular display, which includes a giant Indian flag made of fresh flowers, there will be an Indian-inspired menu served at the Orangey restaurant, as well as numerous talks from experts at the botanical gardens. For a more intimate experience, you can also have the chance to explore the orchids in the Princess of Wales Conservatory after hours from 9th February until 2nd March every Tuesday and Thursday. On the evening there will be traditional Indian music, henna art, Bodhi leaf and mandala colouring and yoga classes. “We hope this journey will highlight the significance of plants in all walks of life, from the spiritual and medicinal to the textiles and cuisine, all the while showing the importance of plant diversity and Kew’s work to protect, conserve and study plants,” she said. You can find out more and book tickets on Kew Gardens website here. Tickets to the evening of Kew cost £15 per person and £13.50 for Friends of Kew. Shake Shack are giving away FREE Chocolate Beer tomorrow!